Seafront Amoudi Villas is a villa complex where you will find an oasis of rest and peace. Owning their name to their unique location and privileged waterfront position, just 8 meters above the sea, facing an endless swimming pool, the Ionian sea, those beach apartments and beautiful gardens are designed entirely to the specifications of its discerning owners who wished to create the ultimate retreat for large families, couples or groups of friends within the idyllic settings of the property's location. The villa is surrounded by lushly planted gardens and a little gate leads you down a private path to the beach (30 metres). 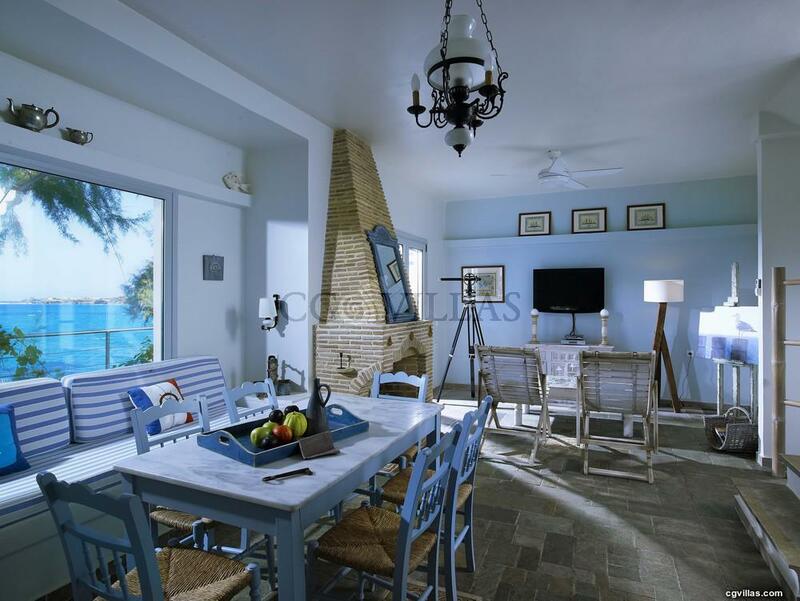 Generous spaces, traditional Ionian architecture and minimal interior design combine in the Apartments fresh and airy ambience, providing unrivalled comfort to guests throughout indoors and outdoors. An idyllic retreat for guests looking for a stunning contemporary example of majestic architecture mixed with incredible surroundings, colors and views. - Blue Caves, Shipwreck, Xygia Beach, Porto Limnionas, Gerakas Beach etc. Lying just above the beach, those apartment villas occupy a spectacular position with breathtaking views over the bay towards the neighboring island of Kefallonia. They are located in one of the most peaceful and relaxing settings on the island - the seashore is just below the villa and at night, the cooling sea breeze and the lapping of the waves will gently lull you to sleep. The traditional village of Amoudi is only a few minutes walk from the villas where a variety of tavernas, shops and other amenities can be found. The location of Seafront Amoudi Villas is ideal for fishermen and divers and they also provide you with a small port to moore your boat.